Signed picture of Joe Corrigan Manchester City footballer. 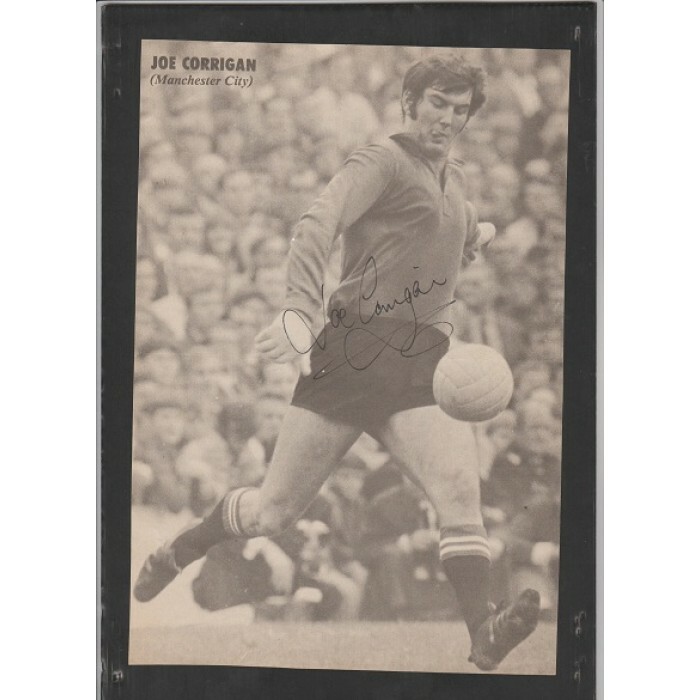 Home » Signed picture of Joe Corrigan Manchester City footballer. Joe Corrigan. This is a really fabulous A4 black and white picture of Joe Corrigan Manchester City footballer. This picture shows Joe Corrigan in full length action and is taken from a football magazine of the time. 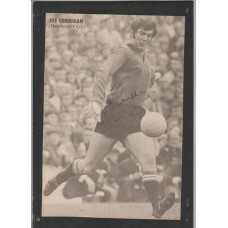 Joe Corrigan has signed this photo using a fine black pen. Joe Corrigan played 602 games for City between 1967 and 1983. He has also won 9 full caps for England. This really is a nice collector piece and very reasonably priced at £5.99.